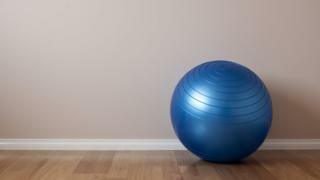 An anaesthetist killed his wife and 16-year-old daughter using a yoga ball filled with carbon monoxide, a Hong Kong court has heard. Prosecutors said Khaw Kim-sun left the inflatable ball in the boot of a car where the gas leaked out and killed them. The pair were found dead inside a locked car in 2015, in a case that initially baffled police. Mr Khaw has pleaded not guilty to two counts of murder. A post-mortem examination showed his wife and eldest daughter had died from carbon monoxide poisoning. Police found a deflated yoga ball in the back of the yellow Mini Cooper in which their bodies were discovered. Prosecutors told Hong Kong's High Court that Mr Khaw had deliberately plotted to kill his wife because he was having an affair and she would not grant him a divorce, the South China Morning Post said. But they said it was unlikely he wanted to kill his daughter. He allegedly told his younger daughter to stay at home to complete homework. Eyewitnesses said they saw Mr Khaw, an associate professor at Hong Kong's Chinese University, filling two balls with carbon monoxide, reports said. He told colleagues he was going to kill rabbits with the gas, but reports say he contradicted himself by telling police he wanted to use it to get rid of rats at his home.